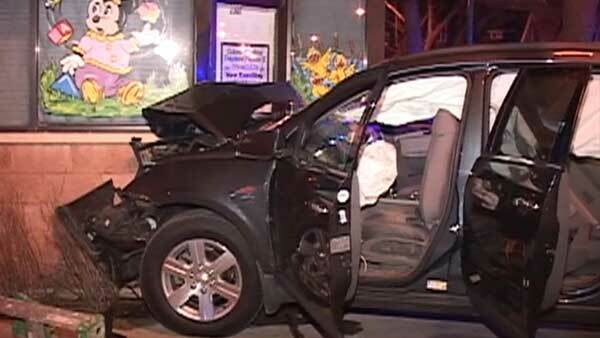 CHICAGO (WLS) -- Two women were hurt after an SUV slammed into a daycare center in Chicago's South Shore neighborhood overnight. A 19-year-old woman traveling east on 79th Street swerved to avoid crashing into a westbound vehicle near Crandon Avenue around 12:30 a.m. Thursday, police said. The SUV crashed into Colors for Tots Daycare Center, damaging the entrance. The driver and an 18-year-old female passenger were taken to South Shore Hospital in good condition. There were no other injuries in the accident.